NO:Grains, nuts, eggs, sugar, salt, yeast, wheat, gluten, soy, artificial coloring, artificial flavoring, or artificial preservatives. I have been searching for an effective Joint & Hip supplement for my nine-year old dog, for about a year now. After about five different products, I almost stopped searching. 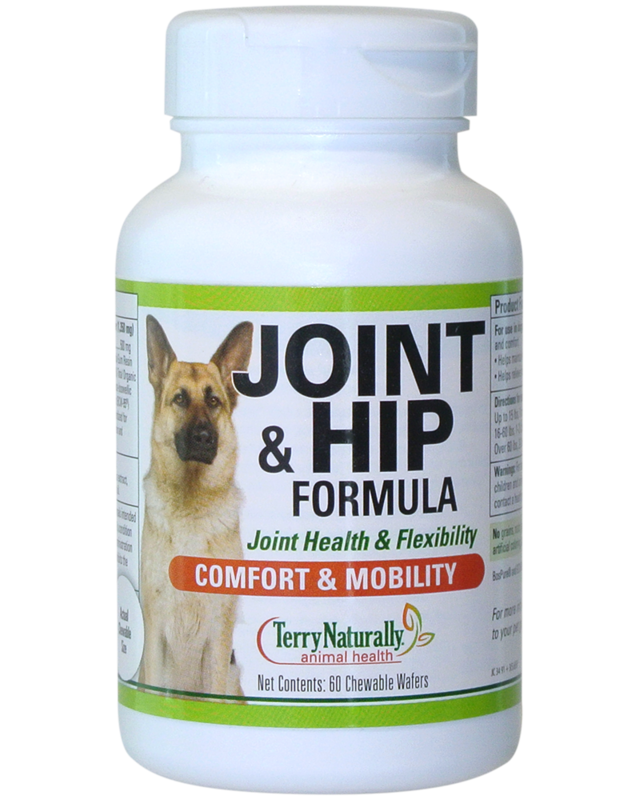 I stumbled upon the Hip and Joint Formula from Terry Naturally Animal Health and after about five weeks, my nine-year old dog was acting like a puppy! She was running around and she even jumped up on the sofa by herself. Thank you Terry Naturally!